Dr. Christopher Raffo specializes in sports medicine, shoulder arthroscopy/surgery and knee arthroscopic surgery. Dr. Christopher Raffo (Medical Degree and Residency from Georgetown University) practices Orthopedic Surgery and Sports Medicine in Bethesda and Germantown, Marlyand. 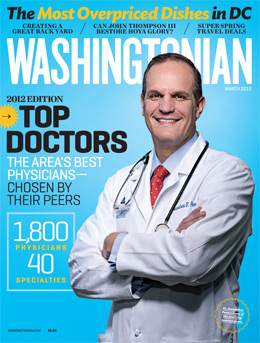 Dr. Raffo was named Top Orthopedists for 2012 by Washingtonian Magazine. "It is quite flattering to be recognized by one's peers. I am very grateful," says Dr. Raffo. 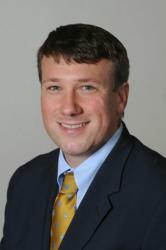 Dr. Raffo is board certified in Orthopedic Surgery and Orthopedic Sports Medicine. Board certification for Orthopedic Sports Medicine is only available to physicians who complete an advanced fellowship in Sports Medicine and have an appropriately focused sports medicine practice. Previous Awards include the 2011 Washington Post Super Doctors and 2010 Washingtonian Magazine “Top 75 Experts in Sports Medicine”. Question: Dr. Raffo, can you summarize your practice philosophy? Dr.R: My philosophy is to treat every patient as I would a family member. I make every effort to treat conditions in as rapid and cost effective fashion as is reasonable. I reserve surgery for patients that simply won’t improve without it, or for those that have exhausted all non-operative measures. Dr.R: I would describe myself as both personable and extremely focused. The best part of my day is talking with my patients and helping them overcome the challenge that brings them to me. The slightly unique problem that every patient brings really keeps me motivated. I notice my focus most in the operating room. Time practically stands still, as all of my attention is completely consumed by the task at hand. Every conceivable distraction just disappears, much like it must for a professional athlete in a roudy stadium. Q: What is your most common surgery? Dr. R: My most common procedure is arthroscopy, of both the shoulder and knee. It makes up the vast majority of my practice. Included under that umbrella are all-arthroscopic rotator cuff repairs (I have never opened one), shoulder instability surgeries, AC joint repairs, ACL reconstructions, meniscal repairs, and cartilage restoration procedures. The variety is pretty diverse and keeps me really excited to come to work every day. Q: What is the biggest challenge that you face treating patients? Dr. R: The biggest challenge today, in my opinion, is determining how the healthcare reform legislation will change the way we are able to interact with and treat our patients. Technology is a big part of orthopedics, especially sports medicine. My hope is that the reform won’t limit or reduce the quality, but that is a enormous concern. America is blessed with the best healthcare system in the world and I am worried as both a provider and patient that quality will suffer. I am dedicated to providing the best care to my patients and I hope to never be forced to lower that bar. Appointments can be made online at MdOrthoSpecialists.com or by calling 301-515-0900.